Maureen Wlodarczyk is an author, columnist, genealogist, speaker, and admitted history addict. She is also an officer and YDNA project administrator with the Flannery Clan organization based in Dublin, Ireland and a member of the Genealogical Society of New Jersey, Hudson County Historical and Genealogical Society and the Irish-American Writers and Artists organization. Maureen writes a quarterly genealogy-related column “History & Mystery: Perfect Together” for the e-magazine Garden State Legacy ( www.gardenstatelegacy.com ). She is also a contributing writer for Irish Lives Remembered, the Ireland-based genealogical e-magazine (http://www.irishlivesremembered.ie/). Maureen is a frequent speaker presenting various programs for libraries, historical societies, genealogy clubs and adult schools. 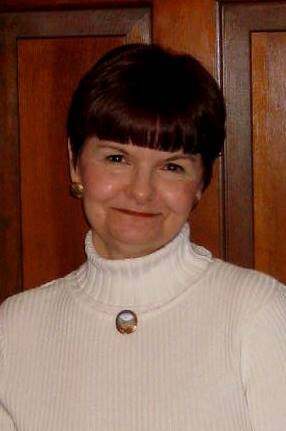 Her programs include discussions of her books and genealogy topics (writing your family history, searching for your family roots, DNA testing, introduction to genealogy research including ancestry.com, familysearch.org and genealogybank.com). She also creates customized programs based on the needs or requests of the group she will be working with. For more information or to book a program, contact Maureen at maureenwlodarczyk@gmail.com. Maureen’s newest book, Birthless: A Tale of Family Lost & Found, explores the lingering effect of family secrets on three women friends and how the power of their bond gives each the strength to face a reckoning with her own past. The story asks the questions: Is it ever “too late” to confront the life-altering decisions of the past? What if, at age 60, you found out that you were adopted and everything you believed about your “family” was a lie? With each other’s support, three friends find answers to those questions and many more on a journey in pursuit of closure that takes them across the globe as well as across decades of history. The story takes the reader on a heartfelt journey from New York to Scotland and Ireland with three women whose friendship helps them face a reckoning with the long-concealed secrets of their youthful pasts. Memories of first love, young motherhood and painful decisions are resurrected as each of them searches for reconciliation and peace after decades of self-imposed silence. What awaits them are unexpected discoveries that will redefine their understanding of love, loss, motherhood, friendship and the meaning of family. Maureen’s book, Scarlet Letter Lives is historical fiction inspired by the true stories of the owners of three 1850s copies of Nathaniel Hawthorne’s The Scarlet Letter: a Mississippi boy of thirteen who, along with his two brothers, is destined for the battlefields of Virginia during the Civil War; a New England sea captain’s daughter, newly-married and living in Alexandria, Virginia when that war breaks out; and a transplanted Virginia man living in New Orleans who must flee the Union occupation there. Their family stories converge over the ensuing decades as their copies of The Scarlet Letter and their lives intersect in one woman who will tell their tales and then the secret that defined her own life. Scarlet Letter Lives was chosen a finalist in the 2016 National Indie Excellence book competition. Maureen’s first book, Past-Forward: A Three-Decade & Three-Thousand-Mile Journey Home is the story of her 30-year search for her grandmother’s Irish ancestral roots and the surprising and poignant discoveries made along the way. Her second book, Young & Wicked: The Death of a Wayward Girl, is the true story of star-crossed first generation Irish-American lovers, one of them a second cousin to Maureen’s great-grandmother, who grew up in Jersey City, both becoming young petty criminals who fled to the Bowery in New York City in 1893 to avoid arrest where their life together met a violent end. Maureen’s third book, Canary in a Cage: The Smith-Bennett Murder Case, is the story of a Jersey girl, born in Monmouth County, who moves to Jersey City in the 1870s and, at the age of 26, is accused of the violent murder of her police officer husband (with the help of her teenage paramour). Historical fiction based on a true story of a post-Civil War, Victorian-era murder, the killing and the multiple trials of the accused created a sensation from 1878 – 1880, and forever altered the lives of the victim’s family and the accused. Did a Jersey farmer’s daughter turn city-girl murderess ? Maureen is also the author of Jersey! Then . . . Again a collection of 36 unique, quirky and just plain interesting short stories about authentic New Jersey people and events spans the period from the early 1800s to the 1940s. Hurricanes, windmills, theatre, military heroes, Irish boxers, the birth of competitive baseball, Titanic survivors and more – it all happened in Jersey, believe it or not! Maureen has a blog ( www.past-forward.com/blog )with additional stories about the Irish family introduced in Past-Forward along with other stories of historical and genealogical interest. Maureen managed to squeeze in a career as a senior operations manager in commercial banking and finance, still dabbling in that these days. I just wanted to thank you again for your program last night at the Woodbridge Public Library. You spoke with great passion about your family and your quest and then proceeded to explain the strategies anyone can use if they wish to find information on their ancestors. The audience was enthusiastic and inspired. I booked this program and attended without any driving interest in genealogy. I wanted you to know that I have now begun thinking of ways to begin a search for my family! So sorry the visit of my family from CA will keep me from attending your March 26th talk at the Morris County Library. I also have become interested in genealogy though it took me 7 years since my retirement from banking! I am going to purchase your e-book series. I hope all is well for you. I heard mentioned somewhere that you made a questionaire based on questions you wished you could have asked ancestors (or asomething like that) I would be very greatful if it is possible to get a copy. Sounds just like what I need to do with my Dad while he’s still here and a 100 year old great Uncle. -What family members were in the military? -What occupations did family members have? -What are their earliest childhood recollections about family life, parents, siblings? -How much schooling did they have and what types of schools did they attend (public, religious, etc)? -Where did they worship? Were there any religious differences in the family? -What do they know about the family’s immigration to the US or elsewhere? -Were there any family tragedies (accidents, injuries, early deaths due to disease, orphaning of children, etc)? Would you please come and speak to the Morris Area Genealogy Society? I attended the Virginia Festival of the Book on March 19, 2016, in Charlottesville, VA. I purchased your book “Scarlet Letter Lives”. It is a wonderful book. I enjoyed the characters and their lives. It was an engaging story full of history, secrets, compassion, love, and hope. I could not put the book down until I closed the back cover. Thank you for such a heart warming story. Thank you so much for taking the time to let me know that you liked my book. I am very grateful that you took a chance on my book and were pleased with the story. The actual families that owned those three early copies of The Scarlet Letter that came into my hands 150 years later introduced me to amazing and inspirational life stories that were so worthy of sharing. I am glad that, as a genealogist, I was able to track them back and then weave the three stories into one Southern saga. Author and Genealogist Maureen Wlodarczyk takes us on a heartfelt journey from New York to Scotland and Ireland with three women whose friendship helps them face a reckoning with the long-concealed secrets of their youthful pasts. Memories of first love, young motherhood, and life-altering decisions are resurrected as each of them searches for reconciliation and peace. What awaits them are unexpected discoveries that will redefine their understanding of love, loss, and motherhood. Is there a schedule where you will be presenting. I missed your program at The Dorothy Kraft Center on October 25th.